Banking on our enriched industry experience, we are able to supply Old Industrial Office Chair. We have available in bulk. We can reduce the price for a bulk order (Used Office Chair). Our company has been successful in winning appreciation from the clients as one of the most prominent names in the trading of Second Hand Office Chair. Our company has been successful in winning appreciation from the clients as one of the most prominent names in the trading of Used Office Chair. From our wide consignment, we are affianced in supplying Used Office Chair. We are a top notch supplier of Used Office Chairs. We are amongst the most reputed names in the industry, offering Used Office Chair. In order to meet excellent quality standards, we are supplying Used Office Chairs. In order to meet excellent quality standards, we are supplying Used Office Chair. We are amongst the most reputed names in the industry, offering Second Hand Office Chair. From our wide consignment, we are affianced in supplying Second Hand Office Chair. We have a huge collection of chairs, both branded (Featherlite, Merryfair, Transteel, Techno Seating, Godrej, Imported brands etc..) and unbranded all the defected parts have been replaced with new, chairs are in brand new condition cleaned and wrapped with cover. We are amongst the most reputed names in the industry, offering Used Office Chairs. We are engaged in offering Used Office Chair. Our reputed entity is engaged in supplying Used Office Chair. By using advance technology, we are involved in offering best quality of Used Office Chairs. These Used Office Chairs are extensively used in offices and in many other suitable places. 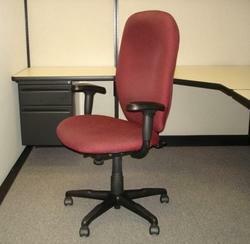 Further, the offered Used Office Chairs are provided by us in various sizes. These are known for their perfect finishing and durability. We are engaged in offering Second Hand Office Chair. 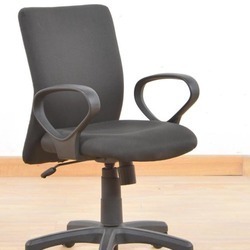 Banking on our enriched industry experience, we are able to supply Used Office Chair.